The Bremen Historic B&O Train Depot building was originally dedicated October 22, 1929 on North Center Street, when a train ride to Chicago cost $1.50. 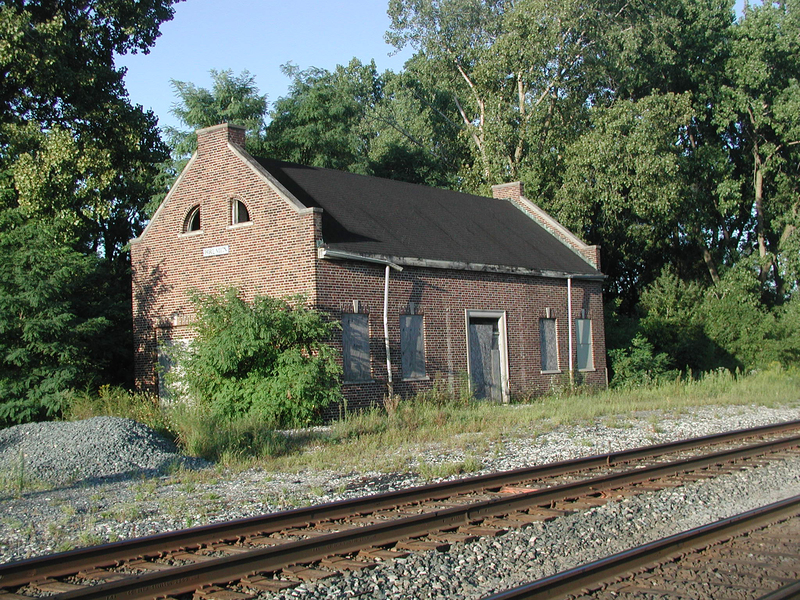 It was built by local contractor SG Lehr for B&O Railroad and served as a Western Union and passenger and freight office until the 1970s before being closed entirely by CSX in 1987. The building languished for years and was in danger of being bulldozed. Historic Bremen stepped in to save the structure, and it was rededicated May 1, 2011, at its new home at 810 Douglas Road, on the east side of Bremen, just off US 6. To accomplish that, work began in the fall of 2008, when—after lengthy negotiations with CSX—workers cut the depot free from its foundation. They then raised it using hydraulic jacks and placed it on a 72-wheel trailer; it was transported two miles to its new home the following June. Later, a section of railroad track was found embedded in the unused rail yard of a local business. This was dug up, and the rails were moved to the site to be mounted on new railroad ties. Volunteers drove the spikes to set the rails in place. 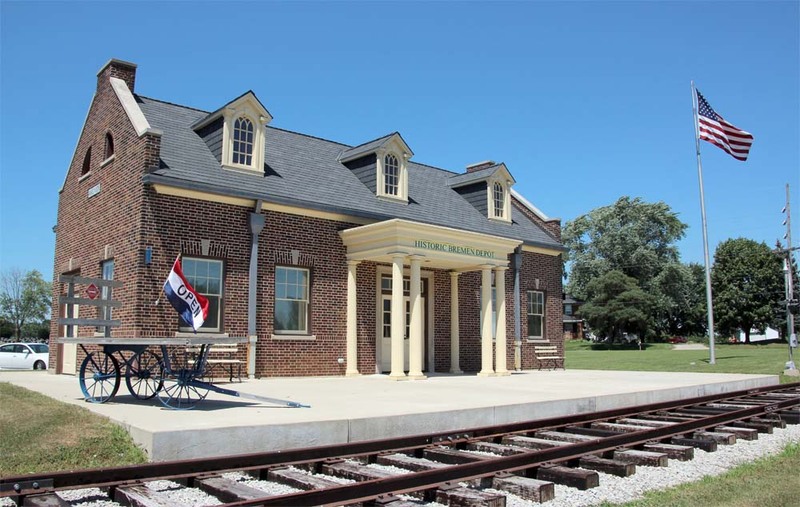 The depot project was funded by an INDOT Transportation Enhancement grant, INDOT American Recovery and Reinvestment funds, Marshall County Community Foundation funds, and Indiana Landmarks, with 14% coming from local sources. Today, the depot building houses many artifacts of Bremen’s railroad history. 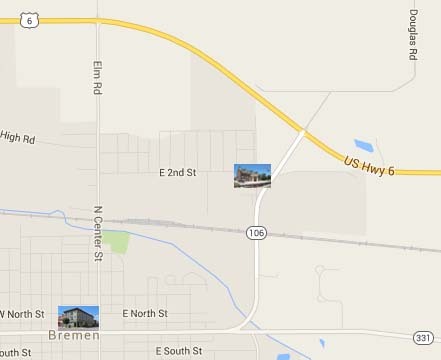 The Bremen Historic Train Depot is open the first Sunday of the month (May to Oct) from 2 to 4 p.m. at 810 Douglas Road, and by appointment. To make a special appointment to see the History Center, call 574-546-4340.